Lisa Mann, Bre Gregg, and Mary Kadderly join forces to bring you a show at The Lake Theater & Café on Monday, April 10 complete with soulful performances, three-part harmonies, and powerful interpretations. Since these three women emerge from different musical backgrounds, their show will cover the blues, soul, jazz, and pop, and is packed with original music…some of it brand new. All three performers are on-stage throughout the show, creating a band with three lead singers, three songwriters, and three times the energy and joy to share with audiences. With two Blues Music Awards, eight Cascade Blues Association Muddy Awards and a Blues Blast Award, Lisa Mann has been a major force on the national blues scene for a number of years. Mann’s voice effortlessly straddles the line between the honey sweet warmth of the South, and the force-of-nature sound Mann has cultivated by mastering everything from rock to Memphis soul. Bre Gregg has one foot in the blues and the other in swampy soul. Although her red hair and freckles remind you of a sweet Irish lass, if you close your eyes and change your expectations, you will hear strong influences from Bonnie Raitt, Susan Tedeschi, and maybe even a dash of Patsy Cline. With a range of musical styles that reaches from jazz and blues to R&B, country western and pop, long-time Portland favorite Mary Kadderly is a singer and songwriter with a truly distinctive voice that’s soothing, authentic, and compelling. 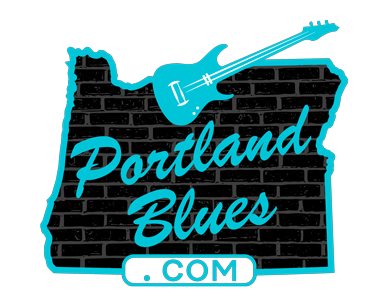 Joining Lisa Mann, Bre Gregg, and Mary Kadderly will be one of Portland’s finest guitar players, Dan Gildea, fresh off a European tour performing with blues vocalist Earl Thomas Bridgeman Jr. The Lake Theater & Café is located at 106 N. State St. in Lake Oswego. Tickets for The Trifecta can be purchased at the venue’s website Laketheatercafe.com for $15.00.